The Assembly of the Republic (Turkish: Cumhuriyet Meclisi) is the parliament of the Turkish Republic of Northern Cyprus. It has 50 members, elected for a five-year term by mitigated proportional representation. A party must cross the election threshold (5% of the total vote) to be awarded any seats. The parliament is composed of 50 MPs, chosen from five electoral districts, which are coterminous with the districts of Northern Cyprus: Lefkoşa, Gazimağusa, Girne, Güzelyurt and İskele. In Northern Cyprus elections, voters vote for individual candidates. There are two ways of voting. Alternatively, the voter may not choose a party but vote for candidates from different parties. In this kind of mixed voting, the voter cannot choose more than the number of MPs the district is allotted. The legislature, Cumhuriyet Meclisi (Assembly of the Republic of Northern Cyprus), has 50 members, elected for a five-year term by mitigated proportional representation. 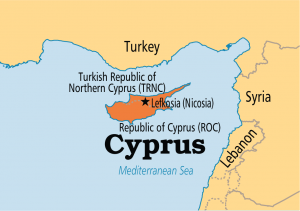 Until 2004, the case of Ibrahim Aziz in the European Court of Human Rights, Turkish Cypriots could not vote in the Republic of Cyprus. Republican Turkish Party Cumhuriyetçi Türk Partisi,National Unity Party Ulusal Birlik Partisi, Democratic Party Demokrat Parti.